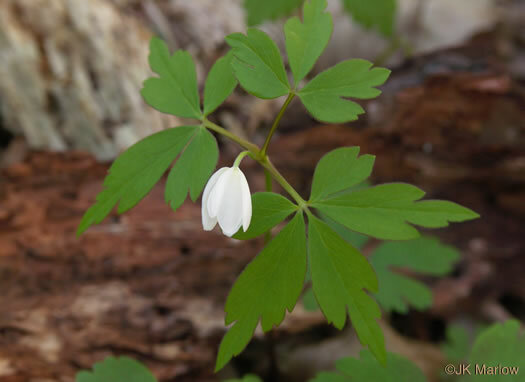 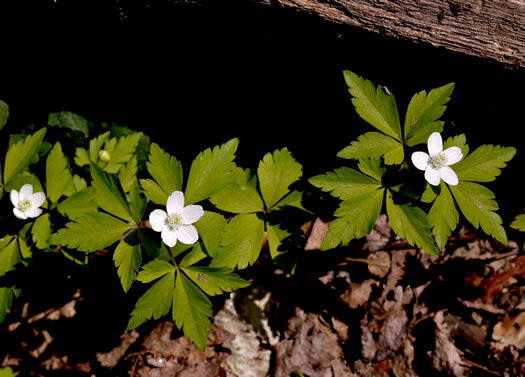 The (usually) 5 white petal-like sepals are often reddish beneath, per Wildflowers of Tennessee, the Ohio Valley, and the Southern Appalachians. 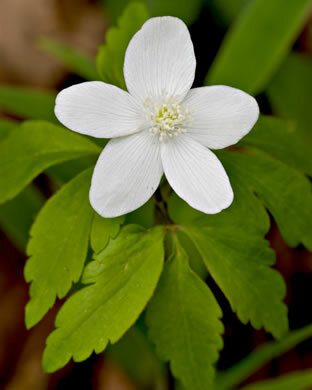 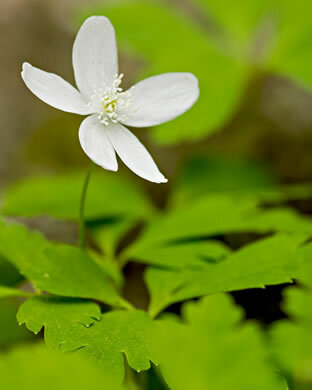 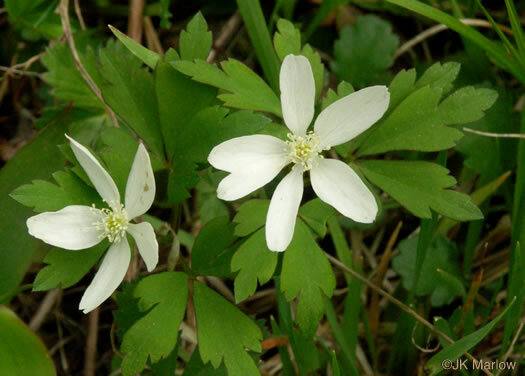 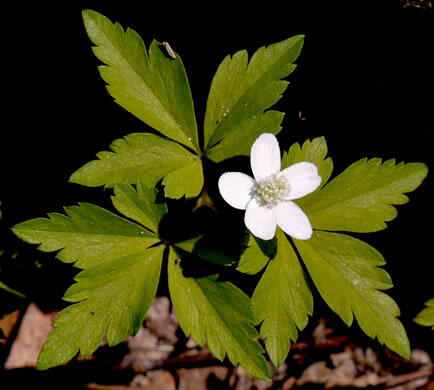 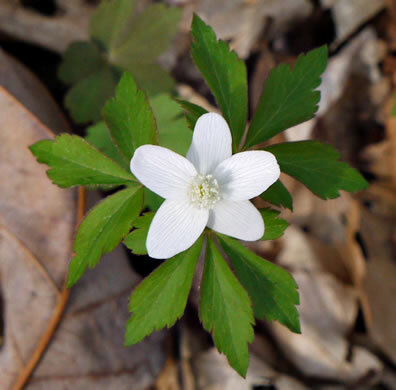 A single flower terminates the stem & usually has 5 white sepals (no petals), per Wildflowers of Tennessee. 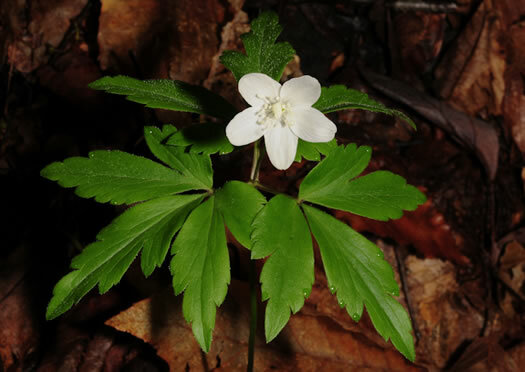 Similar to A. lancifolia but 5 leaflets, or 3 with lateral ones deeply cut, per Wildflowers of the Eastern United States. 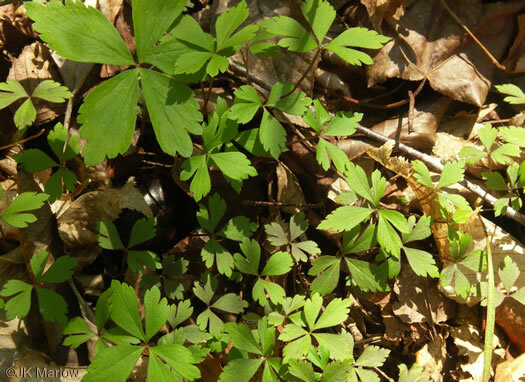 Leaves and stems are covered in fine hairs, per www.minnesotawildflowers.info. 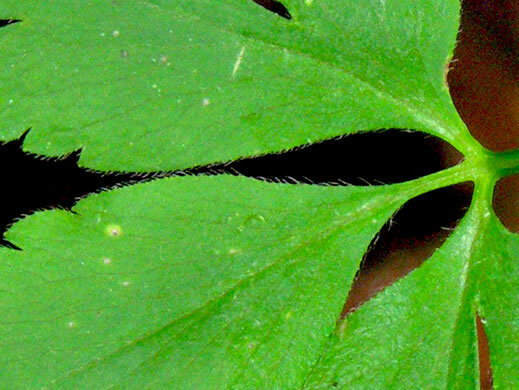 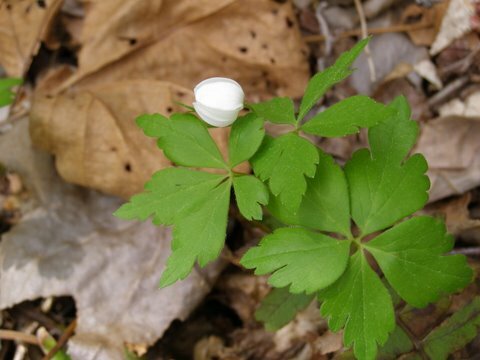 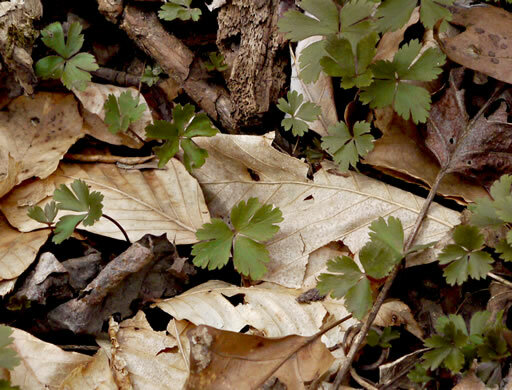 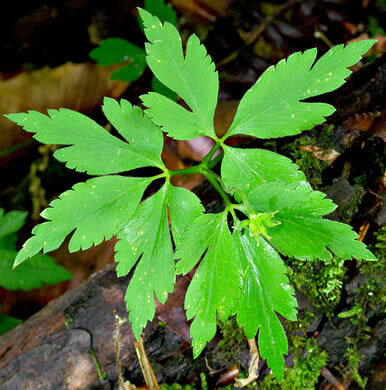 Stem leaves are shaped similarly to the single basal leaf, but smaller, per Wildflowers of Tennessee.